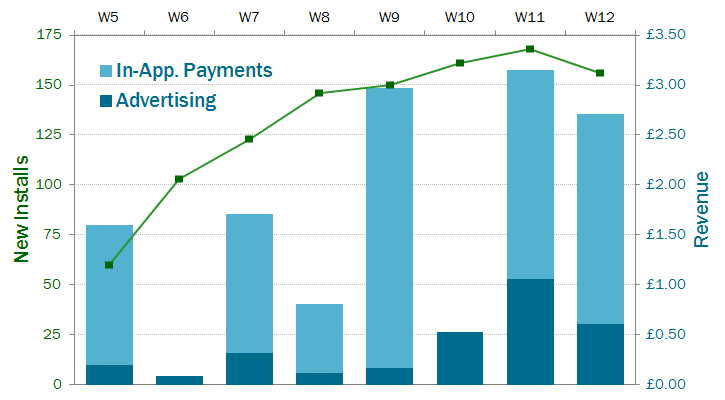 Of course the obvious fact is that the current revenue is very small. At the time of writing, we’ve had around 1200 downloads over 9 weeks, and our best week’s revenue so far was just a little over £3. On that basis, I would do better standing on a street corner rattling a collection tin! That said, we’ve had essentially no publicity so far so, if we can get the word out, that revenue could grow significantly and start making a real difference to the Bletchley Park Trust. I also think there are some things we can do to improve the average revenue per user. On the advertising revenue side, those 1,200 downloads have resulted in about 15,000 ad impressions, which suggests people aren’t using the app for long periods. I have some ideas on providing continuing content, which people can amuse and educate themselves by decrypting. On the donations side, the donation button is buried in the “About” screen which many users may never go to; I don’t want to make it too “in your face”, but I think a nag screen could be appropriate, for instance when users upgrade to a new version (189 users have upgraded, but only 22 in all have donated). Another observation was that we have experienced the pain of Android fragmentation; I estimate 80% of the development effort went in to supporting multiple Android versions and screen sizes. In retrospect, we could have launched for just the most popular Android versions (68% of downloads are on 2.x) and the most popular screen size (45% are normal-hdpi, similar to the Nexus One), but as the larger tablets (xlarge-mdpi, 13% of downloads) are the closest to experiencing the authentic proportions of an Enigma machine, I don’t regret the extra effort. 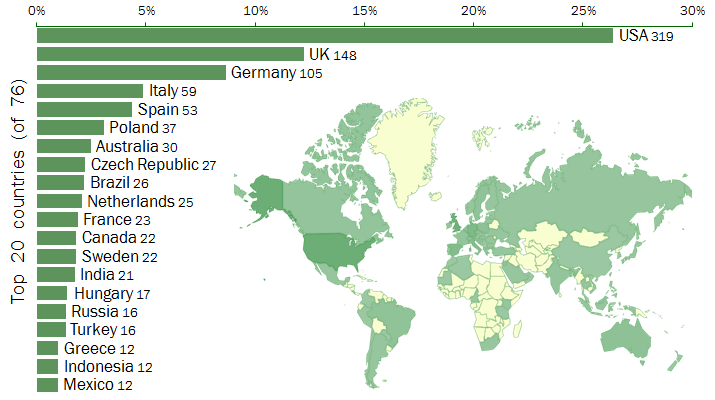 Interest from the UK, Germany and Poland is expected, as these countries have close historical associations with the making and breaking of the Enigma machine, but it is encouraging to see downloads from many other countries around the world, with a particularly strong showing from the USA. In summary, it’s still “early days” in terms of fund-raising, but we are very pleased with the reception so far, including 20 reviews on Google Play with an average of 4.8 stars out of 5 , so we intend to keep plugging away at both improving the simulator and publicising it, and we hope to grow significantly from this encouraging start! This entry was posted on 3 April 2012 at 12:41 pm	and is filed under Applications, Enigma. You can follow any responses to this entry through the RSS 2.0 feed. You can leave a response, or trackback from your own site.